This is 2. 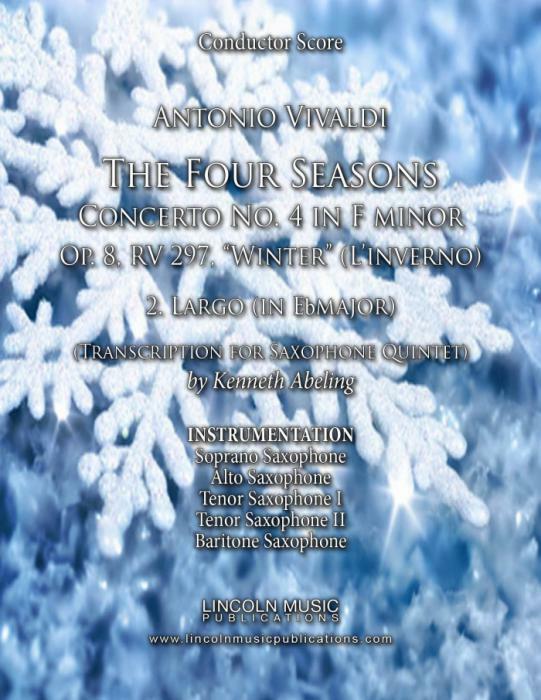 Largo (in Eb major) From Vivaldi’s The Four Seasons or Concerto No. 4 in F minor, Op. 8, RV 297, "Winter" (L'inverno). Transcribed here for Saxophone Quintet by Kenneth Abeling. This transcription is suitable for advanced Intermediate musicians and is suitable for numerous performance applications including Religious Services and Weddings!